The Canadian government is backing down slightly on its mammoth budget implementation bill and has agreed to send it to 10 different committees for study, CBC News has learned. The bill is more than 440 pages long and would change more than 60 laws and regulations. The finance committee will also study the bill, for a total of 10 committees. Budget bills usually go to the finance committee for study, but opposition MPs were pushing for other committees to study the changes that affect laws that fall under their area of expertise. 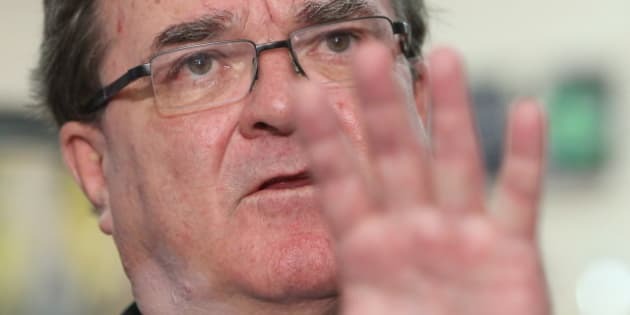 A spokesman for Finance Minister Jim Flaherty says that it was always the government's intention to split the bill, and that Flaherty had mentioned it in an interview last weekend. The Liberal Party issued a press release Wednesday morning claiming victory on the matter and saying that there was no way the finance committee would have been able to handle the legislation on its own. "That is why Liberal MPs gave notice of motion yesterday in 11 separate committees asking them to study the various aspects of the bill that pertain directly to their own mandates," the party said in the statement. - The government operations committee to study public sector pension changes. - The health committee to study cuts to the Hazardous Materials Information Review Commission. - The industry committee to look at changes to scientific research and experimental development credits. Last spring, the government set up a special subcommittee of finance, including a number of MPs who normally sit on the environment committee, to study the provisions of the bill related to the environment and natural resources. The opposition had wanted the bill split up into separate parts for more extensive study, but the government refused to co-operate on the grounds that opposition MPs would vote against it anyway, so it didn't matter whether they split the bill or pushed it through a single committee. The bill, C-38, passed into law without incorporating any of the amendments moved by opposition MPs.